This 112-page, bilingual book with accompanying compact disc probes the sixteen-year collaboration between artists from two of our nation's most traditional cultures -- Zuni Native American and Appalachian. Edited by Dudley Cocke, Donna Porterfield, and Edward Wemytewa, and published by Zuni A:shiwi Publishing in 2002, the book is available from University of New Mexico Press. Click here to see what critics have to say about the book. Click here to view the book in full screen. 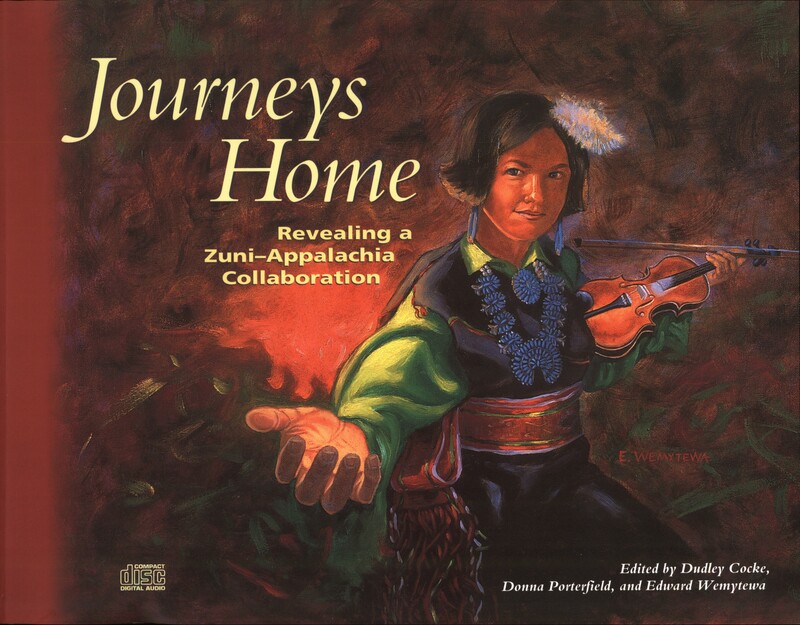 “Book: Journeys Home: Revealing a Zuni-Appalachia Collaboration.” https://roadside.org. May 29, 2014. https://roadside.org/asset/book-journeys-home-revealing-zuni-appalachia-collaboration.